Now in our 22nd year, the Armed Forces Cycling Classic is grateful to all our volunteers who help make this event happen! From course marshals to registration support, we have been fortunate to have scores of individuals come out and help lend a hand so that we can keep the route safe, process participants through registration, hand out t-shirts, and so much more. If you have a few hours to spare, and want to be a part of the rich tradition of the Armed Forces Cycling Classic, please consider signing up as a volunteer. We offer many ways to help that should have little impact to your schedule, or your ability to enjoy or participate in the event. Please review the Registration Form below, and select the job that best fits your abilities or schedule. We will follow-up with more details. All volunteers will receive an event t-shirt. Tech-T’s (top image) for all those working at the event on Saturday and Sunday, and the red cotton t-shirt (bottom image) for those working packet prep/pick-up on Wednesday through Friday. All volunteers will receive an event t-shirt. Tech-T’s (top image) for all those working at the event on Saturday and Sunday, and the plain red cotton t-shirt (bottom image) for those working packet prep/pick-up on Wednesday through Friday. We offer many ways to help that should have little impact to your schedule, or your ability to enjoy or participate in the event. Interested volunteers can reach out to our Volunteer Team - 2019 Volunteer Registration is opening soon! Help with packet pick-up on Thursday afternoon, and Friday at TAPS Headquarters in Clarendon, Saturday at the Clarendon Metro Park, and Sunday at our Crystal City Ride Headquarters. Check-in riders/racers, hand out race/ride packets. Sunday morning, during the Crystal Ride, help riders fill water bottles at designated water stops. During pro/am races, and Crystal Ride, ensure spectators and pedestrians are aware of activities on the road. Assist spectators/pedestrians to cross road during race/ride. Help distribute medals to ride finishers. 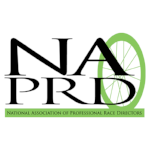 Participate in the Challenge Ride, assisting cyclists as a first responder in the case of mechanical problems or mishaps. Contact First Aid, tech support or ride official, depending on the incident. Carry some spare tires, as well as Key event phone contacts. Assist participants ride the course in a safe and efficient manner. Help set-up/tear-down crew with fencing, signage and stage.